Book 2 of the Fall Issue. 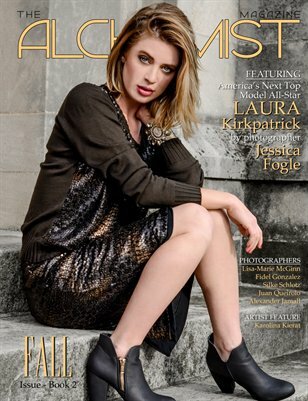 Cover Model - America's Next Top Model All-Star Laura Kirkpatrick photographed by Jessica Fogle. Photography by: Lisa-Marie McGinn, Fidel Gonzalez, Silke Schlotz, Juan Queirolo, and Alexander Jamall. Featured Artist: Karolina Kierat.